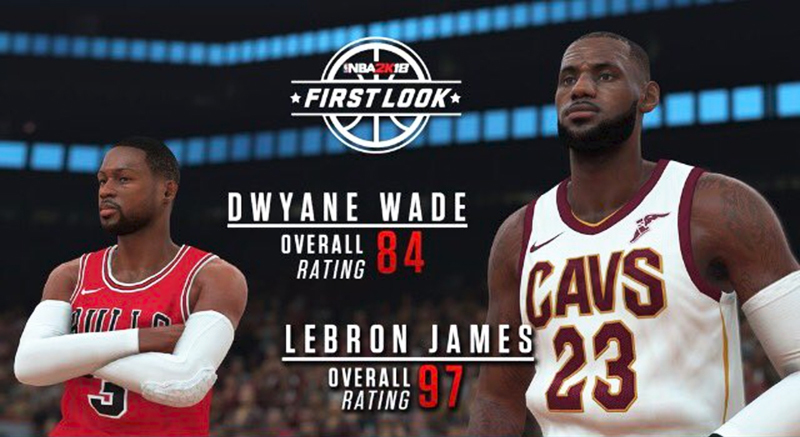 Chicago Bulls guard Dwyane Wade shared a screenshot on Twitter, revealing both his and LeBron James' overall ratings in NBA 2K18. Wade was given an 84 rating to start the season while LeBron James of the Cleveland Cavaliers receives the highest-rating of any player revealed so far with 97 overall. James is followed by Kevin Durant at 96 and Kawhi Leonard at 95.